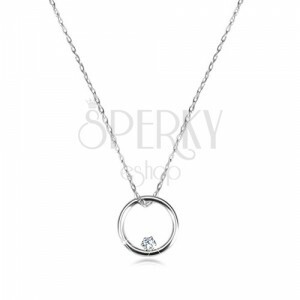 Brilliant 9K necklace - narrow circle with embedded round glittery diamond, fine chain of oval rings. By buying this product you can collect up to 38 points as a voucher of $10.26. Your reward points. Necklace is made of white 9K gold. 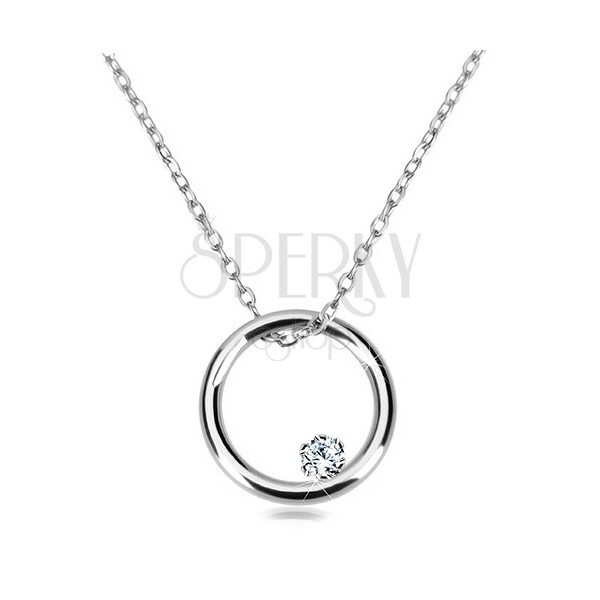 It consists of fine chain and detachable pendant with embedded brilliant. 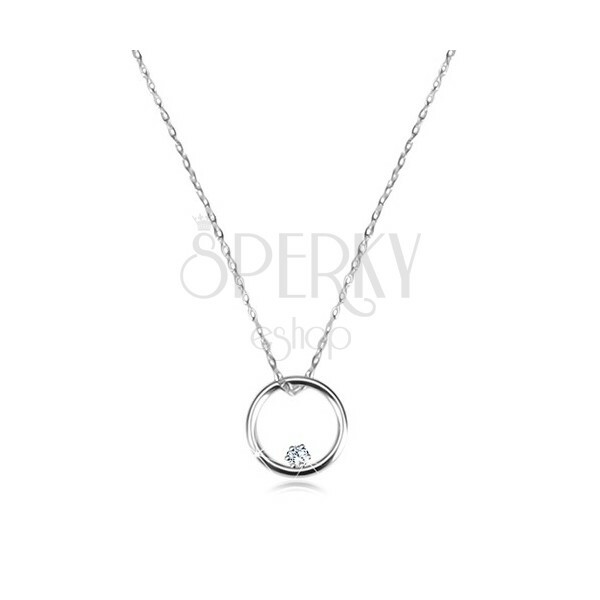 Pendant has a shape of narrow glossy circle. There is round cut diamond of clear coloured colour embedded in the bottom part. Fine chain consists of vertically connected oval rings. Necklace has adjustable length and lobster closure.